Pack of 4 Stainless Steel pushrods. The push-rods are suitable for connecting your wing servos to Ailerons or Flaps, they are threaded both ends and take M2 clevises. Being Stainless Steel they are highly resistant to bending or corrosion and are far better than standard rods. Available to fit the Xplorer, Shadow, NAN range or any other moulded model. 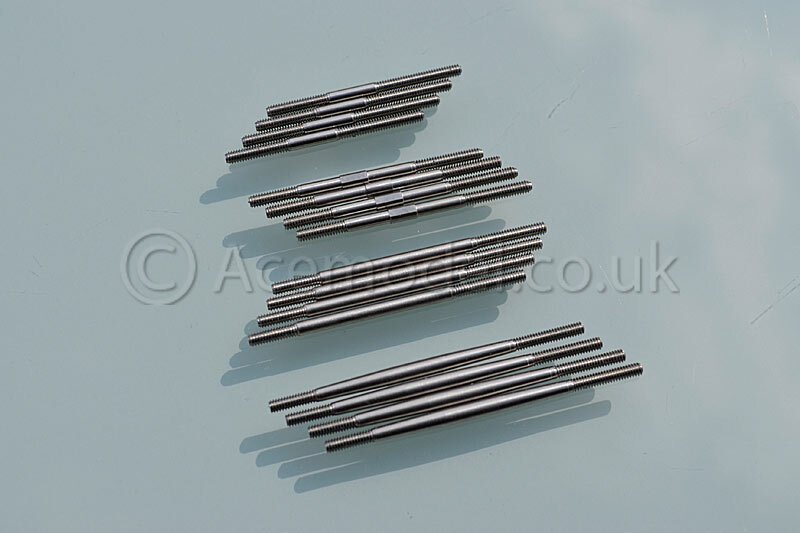 The 45mm and 50mm rods are tapered and have centres that are 2.5mm thick going down to 2mm at the threads making them more resistant to bending. 1 Pack contains 4 pushrods. Select the length from the drop down box.